Italy used this AFV during the 1930s. It was intended, originally, to be the Medium tank in their armored formations (until a new Medium tank was developed). Budget constraints, among other factors, kept them from moving forward and the Centauro armored division was actually outfitted with these old worn out tanks during the occupation of Albania (but not for the invasion of Greece). They were not, however, used in any actual combat role during WW2 (to my knowledge). Italy never developed a better ATG than the 47/32 because of two factors. (1) the army doctrine called for enemy tanks to be dealt with by the artillery (before 1938 there was no actual doctrine for tank-on-tank combat!) so infantry anti-tank weapons were not a focus and (2) economic/production issues. 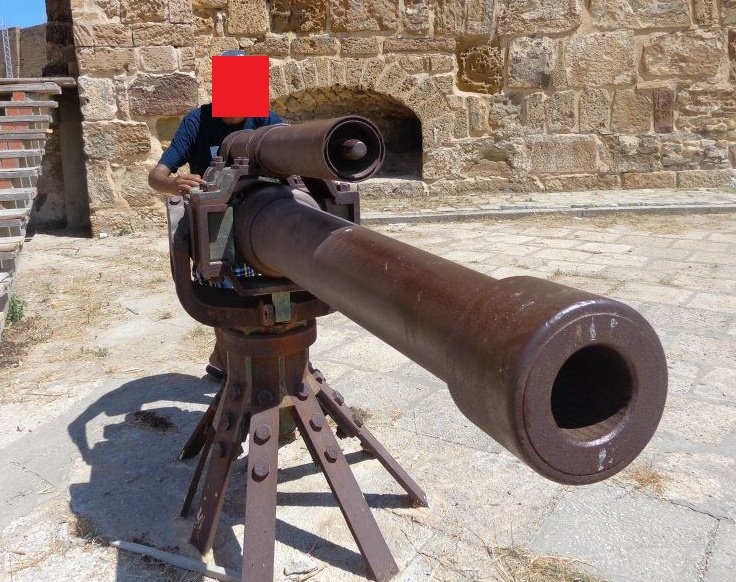 Hello to all, as he said DVX is indeed a piece of 76/50, this old gun that was used to defend the fort and it is not part of antitank gun but simply to artillery. Like with the footballer bastian Schweinsteiger (in itself already a humorous name really), which some french(?) trainer on a TV interview corrupted to Scheisssteiner....and appeared to have said it unintentionally. Recently i found some transport caps for Italian shells, i have been told its for time fuze mod 1906/17. I hope some one can tell me more about this fuze and shells and to what artillery piece it belonged! Also can someone tell me where the T stands for? On the left side of the last photo are some caps that are made from zinc/copper mixture? the rest is aluminium. mod 906/17 is a anti aircraft fuze modified from the old mod 1906 time and percussion fuze. Mod 906/17 is missing of the percussion mechanism, for this it's only a time fuze and a red T (tempo=time) was painted on cover and fuze. this fuze was used on anti aircraft shell in 75CA and 77/28 anti aircraft gun. Beutifull thank you verry much pretty intresting find! I have recently came across some auxiliary detonator fuses which i believe came from italian aa weapons sited on the island of Kastellorizo (Castelrosso) , Greece. can anybody help me intentify them and the weapon or shell they were used in? Hello mrox, Welcome to the Site. Some interesting Fuses you have there, I don't have much info for you, but someone here probably will. In case no one does I have posted your images, and questions on a Face Book page that deals with Ordnance of the 20th Century. If you'd care to look at the page, go on Face Book, and search "Grenades and Ordnance of the 20th Century" You might find it worthwhile . Okay the guys on Face Book say those are Primers for the casings of Artillery rounds.
" Italian primer number 35 manufactured 1941. I believe this primer is used in many different cases." I hope this has been helpful to you mrox.